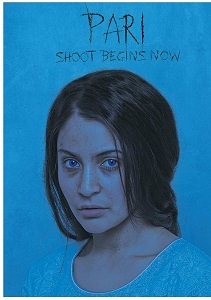 Review Summary: 'Pari' is brilliant, scary and more than just a horror film. Anushka Sharma is a star. The hallmark of a good scary movie is that the scares come at you from all sides, fast and furious and do not allow you to breathe. This movie is slow to create the scary world, and even though you enjoy it, it takes too long to actually make you gasp for air. But what an awesome beginning for Anushka Sharma and Parambrata Chatterjee. But once Roy strips away the mystery from his characters,“Pari” loses its way, and it feels like a laboured finish to the end. Even those easily scared (like this reviewer) will find no need to avert their eyes. The foreboding one feels in every horror film barely lasts till the end, and leaves entirely once you exit the theatre, which is not really an endorsement for a good horror film.